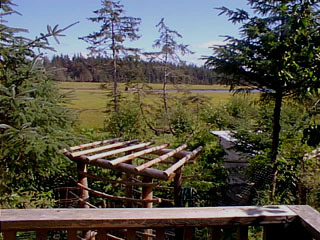 The view from the deck of the guesthouse. That's the Tlell River in the back, and Hecate Strait is just beyond. I can hear the waves crashing at night from my bed. In the winter, when the tides are as high as 25 feet, that is all water down there.